RagingWire opened the latest of its data centers in Ashburn on Tuesday. The business and its parent company, NTT Communications, announced the opening of its third center, with another one on the way. 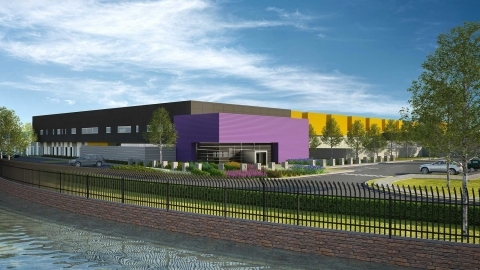 VA3 Data Center is the first building on RagingWire’s newest Ashburn Data Center Campus, a 78-acre parcel of land that eventually will include seven data centers with a total of 108 megawatts of critical load and more than 1 million square feet of space in a secure location. For telecommunications, VA3 connects to RagingWire’s other two Ashburn data centers via a private fiber-optic ring. It also has three entry points for more than 25 carriers and cloud providers. For security, VA3 offers a building-within-a-building design, iris scanners, intelligent high-definition video cameras, a perimeter fence, and a security gate that RagingWire says can stop a 15,000-pound truck traveling at 30 mph. Customer amenities include office space, conference rooms and lounges, a game room, exercise room, conference center and secured outdoor patio. RagingWire’s VA1, VA2 and VA3 data centers in Ashburn provide customers with a total of more than a half-million square feet of space and 44.4 megawatts of power. The centers are also connected with other RagingWire campuses in Dallas and Northern California near Silicon Valley, as well as the company’s global data center platform of more than 140 data centers on 20 countries. Construction of a fourth center is underway on the Ashburn Data Center Campus and is expected to be completed in 2019. VA4 will offer 16 megawatts of power and about 200,000 square feet of data center space, including about 15,000 square feet of office space, conference rooms, and lounges.